PAPUA New Guinea Prime Minister Peter O’Neill has congratulated President of the United States Donald Trump on his inauguration. More than 30.6 million people tuned in to watch Donald Trump’s inauguration as the 45th President of the United States of America as he delivered his 16-minute, 12 seconds speech in front of a million people and viewers on Friday (PNG time and Saturday US time). 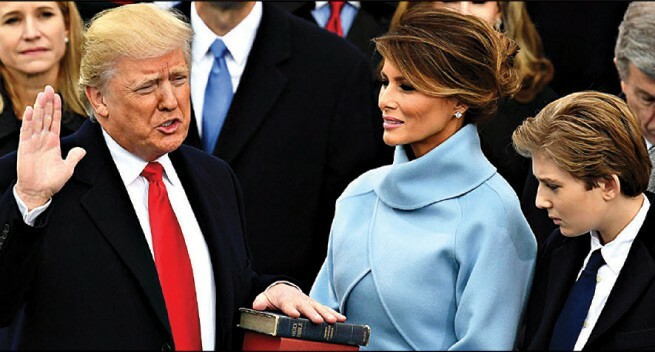 "On behalf of the people and Government of Papua New Guinea, I congratulate Donald Trump on his historic inauguration as the 45th President of the United States of America," Mr O’Neill said. "The United States is a strong friend of Papua New Guinea, and we will continue to build our relationship in the months and years ahead. "At the bilateral level, Papua New Guinea and the United States co-operate on a wide number of areas of mutual interest. This includes increasing trade and investment, as well as other areas that include fisheries, education and healthcare," Mr O’Neill said. "I will soon formally invite President Trump to attend the APEC Summit in Port Moresby in November 2018. "As Papua New Guinea prepares to host APEC, we appreciate the ongoing co-operation we are receiving from the United States, and look to further enhance this engagement. "The United States has long been a beacon of democracy for the world, and it is heartwarming to once again see the transition of authority between elected administrations in Washington DC," O’Neill said.